Have you ever wanted to see comics make fun of each other for no reason? They look stupid, they act dumb, they smell weird, their momma doesn't really love them. 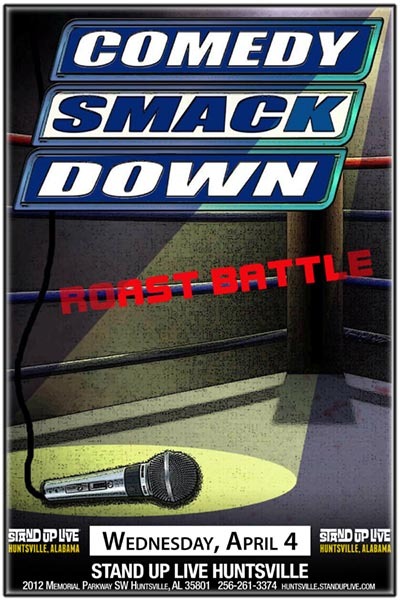 Nothing is off limits on the Comedy Smackdown Roast Battle. Come see these comics match wits and destroy one another on stage for your entertainment. In the end, there can only be one winner! Who will it be? Help us decide as you pick who moves on to the next round. This is all in good fun -- no comics will actually be destroyed on this show.